There is so much on offer here for humans of all ages. 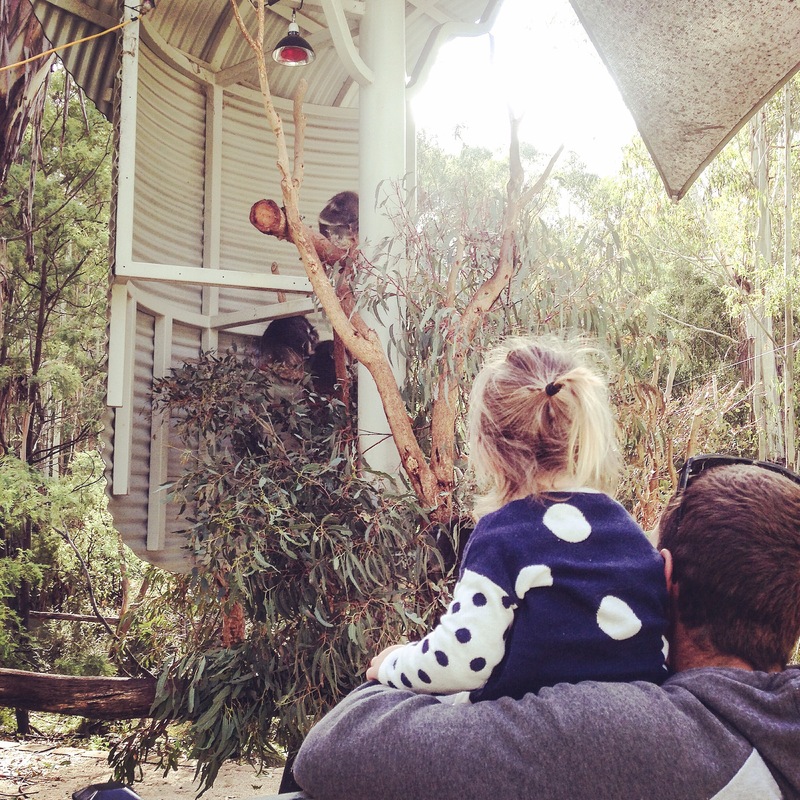 The Koalas living along the Sanctuary Loop make it a child friendly and pram/wheelchair accessible place to visit. You can observe ample wildlife in their natural environments and take in the true essence of the Australian bush. The views from this peak are some of my most memorable of all my Canberran hikes. At the peak you sit on the boulders edge and on a clear day you can have views all the way to the city. You can clearly see the famous Telstra Tower on Black Mountain making you feel like you are only minutes from home. To begin the trek park at the Dalsetta car park. From here wander through the paddocks with a path outlined which leads you up the track to Eliza Saddle. The path continues up from here and meanders around the mountainside with the end being memorably uncomfortable for the thighs. It gets pretty steep until you reach Gibraltar Peak and I assure you the views are worth the burn.To return follow the path you came. Begin from the Mountain Creek Car park and enjoy wandering for about 500 m before the path splits between Camels Hump and Lyrebird Track. It should go without saying but take Camels Hump and from here be prepared to feel the burn. There is no denying that it is a relentless incline making you regret any lower body workouts you had previously done in the last month. However, there is a drop in the gradient after about 2 km making the following 2 km’s quite a breeze in comparison. Ensure you take the time to take in the views along the way, a good excuse for a breather, as the valley and mountain sights are truly breathtaking. Once you get to the base of the hump you should see a path leading up to the peak. Take caution as you may have to negotiate your way around fallen tree branches and in between rock crevasses. There is room at the top to enjoy your packed lunch and chill out whilst soaking up the vista. The views from the top are truly awesome and certainly worth any moments of anguish. Koala Path < 1 km, 20 mins, Easy: Picture a small patch of the Australian bush enclosed to protect Koalas and other local residents. There is a concrete path meandering through the eucalyptus forest making it wheelchair and stroller friendly. Keep your eyes peeled in the treetops for Koalas and when your neck starts to get sore look in the lower scrub for kangaroos, wallabies, potaroos, echidnas, reptiles and if you’re lucky wombats. Sanctuary Loop < 2.5 km, 1.5 hr strolling, Easy: This place is super cool. The last time we were there we witnessed platypi frolicking in the billabong, pelicans and other birds being fed and a few too many encounters with some snakes. It’s essentially a snapshot of the Australia’s varied ecosystems enclosed within a predator-free fence meaning it is exactly that… a sanctuary for native fauna. Stay tuned for more info on Tidbinbilla as I continue to explore this magical area. I would love to know your thoughts on Tidbinbilla Reserve. What is your favourite hike in Tidbinbilla? Do you have a preferred trail for hiking with kids? Let us know about your Canberra experiences by commenting below or follow us on Facebook and Instagram to share your pictures and stories.